Private Tour Guide in St. Petersburg, Russia, St. Petersburg, St. Petersburg. Information, Photos and Reviews. 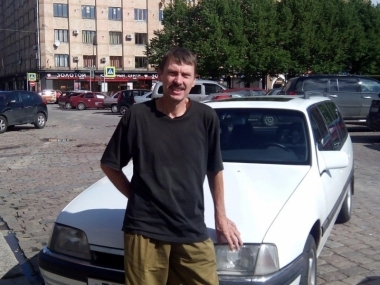 My name is Sergei Orlov and I provide private tours in St. Petersburg and it's wonderful suburbs: Pushkin (or Tzars village) with Catherine's Palace, Peterhof with unbelievable Parks with hundreds of fountains, Gatchina and other places. You'll get the guide and driver in one. I try to make my tours in a little bit informal way to make people to feel the soul of the city and the country. I call my tours - special tours, for people who are eager to go beyond the guidebook. I am engaged in tourist activities for more than 15 years (or much longer, from the years of my High school, making tours for schoolchildren from England, Canada etc.). St. Petersburg is quite a unique place and here we have dozens of possibilities. It depends on your preferences and tastes. Everything is absolutely flexible and I always propose my guests to do with me just such things that are impossible or difficult to do without me. I can also provide tickets to the Feel Yourself Russian Folk Show in Nikolaevsky Palace at up to 25% discount. 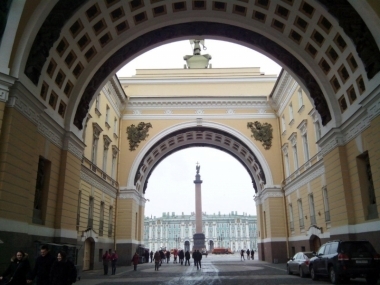 Nobody has reviewed Private Tour Guide in St. Petersburg, Russia yet, Be the first. You are submitting a booking enquiry. 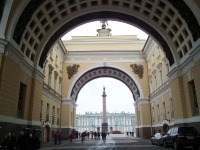 Private Tour Guide in St. Petersburg, Russia will then contact you by email with details of availability and prices.